The earliest known description of a sporting event in Croatia is from the 16th century. It reffered to the 1593 regatta of seventy four (yes, 74) wooden fishing boats called falkuša, from the harbour of the town of Komiža on the island of Vis to the islet of Palagruža. It was the oldest known boat race in Europe. 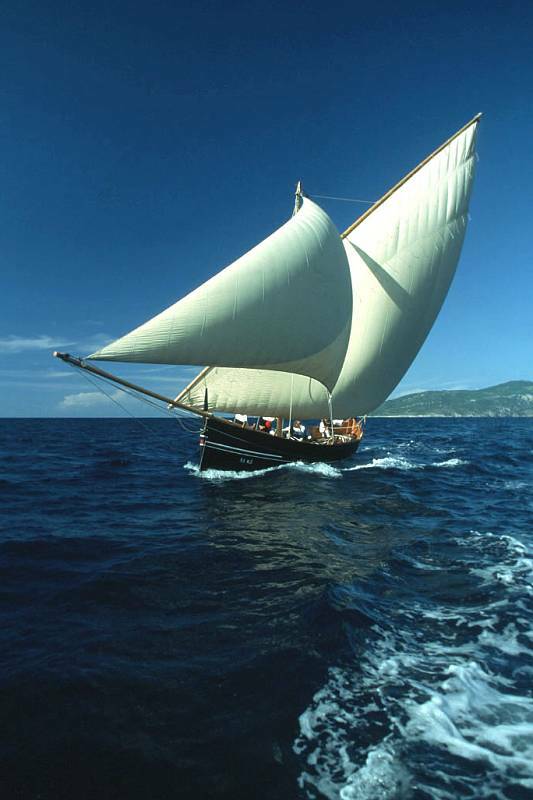 Falkuša is autochthonous Croatian boat of 9m of length, with the mast of equal size, in use from 11th or 12th century until the middle of the 20th century. A crew was composed of five rowers, and the marathon covered 42 miles, for which about five to fifteen hours of continuous and exhausting rowing was necessary, depending on weather conditions. The very start of the marathon of the armada was announced by a cannon from the Renaissance tower in the Komiža harbour early in the morning of 20th May. One can imagine the foam raised by 74 boats and 370 rows in the harbour! The description of this interesting event is kept in the Liber Comissiae in the parish of the town of Vis on the island of Vis. In 1998 falkuša was included into the UNESCO World Heritage List. See Prvi zapis o Palagurskoj regati (in Croatian), Gajeta Falkuša, Vis (in Polish), The Falkuša. 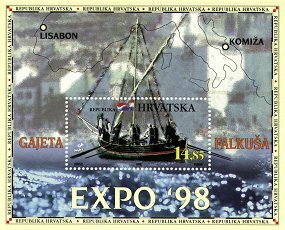 A Croatian falkuša sailed from Komiža to Lisabon to be exhibited at EXPO'98, where Croatia was the greatest surprise. Postage stamp designed by Danijel Popović, Zagreb. The next earliest known description of a sporting event in Croatia is from the 18th century (1764). It referred to the regatta of two fishing boats representing the cities of Split and Makarska, from an islet near Milna on the island of Brač to the Split harbour. It was the Makaran boat that triumphed!